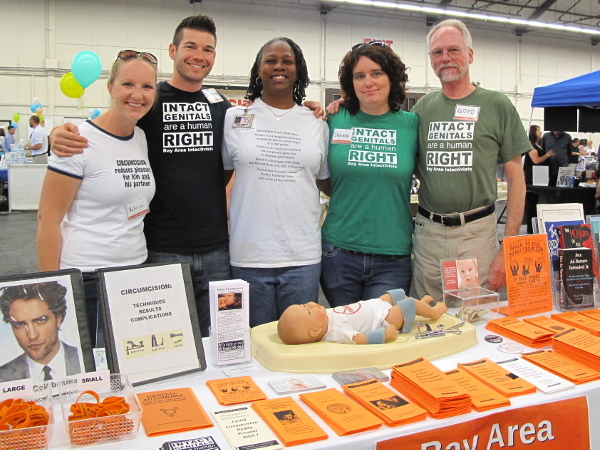 Five members of Bay Area Intactivists staffed a booth at the Birth & Baby Fair event that took place last Saturday at the San Mateo County Event Center. 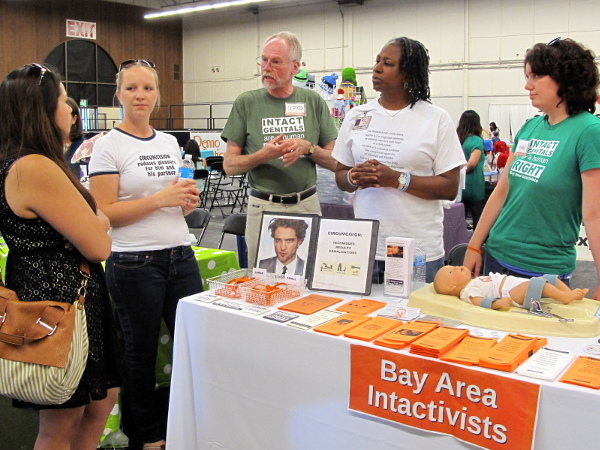 The intactivists have become a familiar sight at this biannual event for new and expectant parents. 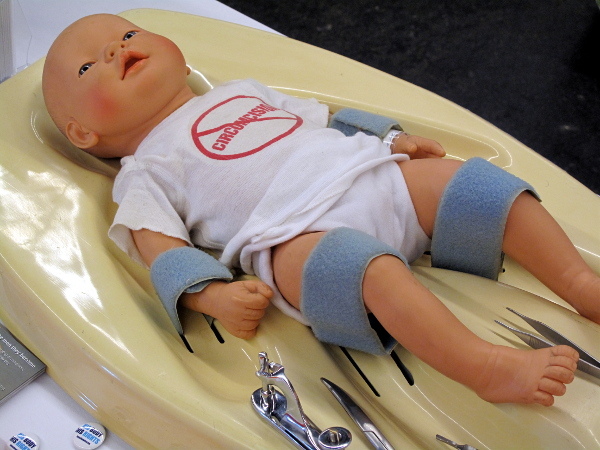 Among the items displayed at the Bay Area Intactivists booth was a circumstraint (the device used to immobilize an infant while circumcision takes place) complete with a baby doll bound to it via straps around its arms and legs. One visitor to the booth was shocked when she learned of the circumstraint's purpose and she expressed that she had no idea that's how a circumcision was performed. 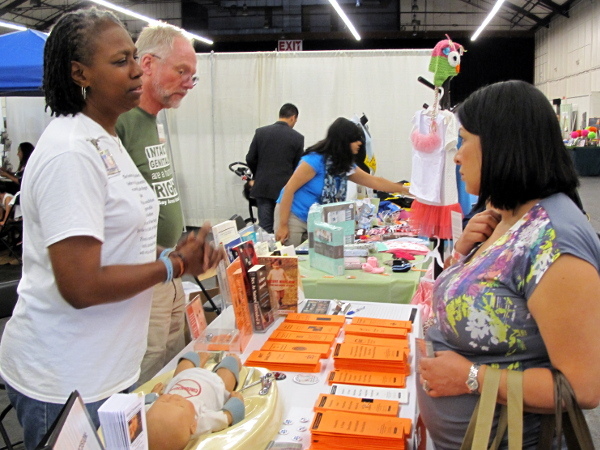 Other items covering the table included an assortment of pamphlets, books, stickers, buttons, and bracelets explaining the damage caused by infant circumcision and urging parents to protect their children from this and other unnecessary genital surgeries. Another booth visitor exclaimed "It's great to see you guys here and I can't wait to see you guys at the march!" The march to which she alluded is the San Francisco Pride Parade, in which Bay Area Intactivists will have its own contingent on Sunday, June 30.